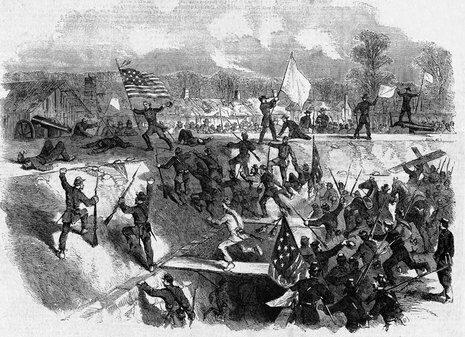 The Battle of Arkansas Post, also known as the Battle of Fort Hindman, was a Civil War battle fought January 9–11, 1863, as Union troops under Major General John A. McClernand sought to stop Confederate harassment of Union shipping on the Arkansas River and possibly to mount an offensive against the Arkansas capital at Little Rock (Pulaski County). 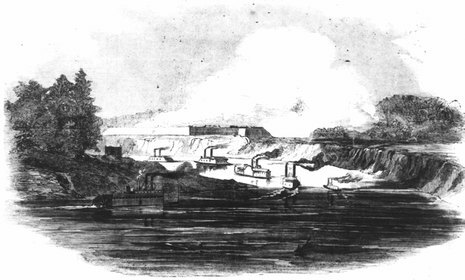 In the fall of 1862, Confederate officials ordered construction of fortifications on the Arkansas River. They selected high ground at a horseshoe bend in the river near the territorial-era village of Arkansas Post (Arkansas County) and constructed a large, square, heavily armed fortification. It was called Post of Arkansas by Confederates and Fort Hindman by the Union side. Brigadier General Thomas J. Churchill assumed command of the Post of Arkansas in December. In late December, Rebel troops captured the steamer the Blue Wing on the Mississippi River and sent it and its cargo of armaments to Churchill’s garrison at Arkansas Post. The Battle of Fort Hindman, or the Battle of Arkansas Post, was fought from January 9 to January 11, 1863, near the mouth of the Arkansas River at Arkansas Post, Arkansas, as part of the Vicksburg Campaign of the American Civil War. The Confederate Army constructed an earthen fortification near Arkansas Post, forty-five miles downriver from Pine Bluff, to protect the Arkansas River and as a base for disrupting shipping on the Mississippi River. The fort was named Fort Hindman in honor of General Thomas C. Hindman of Arkansas. It was manned by approximately 5,000 men, primarily Texas cavalry and Arkansas infantry, in three brigades under Brig. Gen. Thomas J. Churchill. 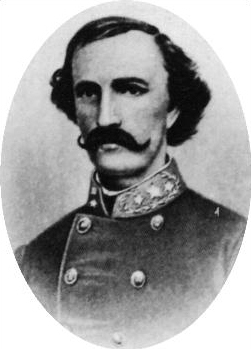 Union Maj. Gen. John A. McClernand was an ambitious politician and had permission from President Abraham Lincoln to launch a corps-sized offensive against Vicksburg from Memphis, Tennessee, hoping for military glory (and subsequent political gain). This plan was at odds with those of Army of the Tennessee commander, Maj. Gen. Ulysses S. Grant. 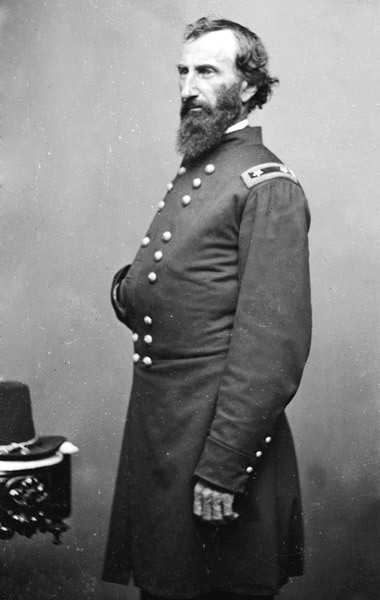 McClernand ordered Grant's subordinate, Maj. Gen. William T. Sherman, to join the troops of his corps with McClernand's, calling the two corps the Army of the Mississippi, approximately 33,000 men. He launched his quest for glory on January 4 with a combined army-navy force movement on Arkansas Post, rather than Vicksburg, as he had told Lincoln (and did not bother to inform Grant or general in chief Henry W. Halleck). Union boats began landing troops near Arkansas Post in the evening of January 9 and the troops started up river towards Fort Hindman. Sherman's corps overran Confederate trenches, and the enemy retreated to the protection of the fort and adjacent rifle-pits. Flag Officer David D. Porter, on January 10, moved his fleet towards Fort Hindman and bombarded it, withdrawing at dusk. Union artillery fired on the fort from positions across the river on January 11, effectively silencing most of the Confederate guns in the fort, and the infantry moved into position for an attack. Union ironclads commenced shelling the fort and Porter's fleet passed it to cut off any retreat. As a result of this envelopment, and the attack by McClernand's troops, the Confederate command surrendered in the afternoon, despite orders to Brig. Gen. Thomas J. Churchill that he must defend the fort at all costs. The results of the battle were 6,547 total casualties: Union forces suffered 1,047, with 134 killed; Confederate about 5,500, almost all by surrender. 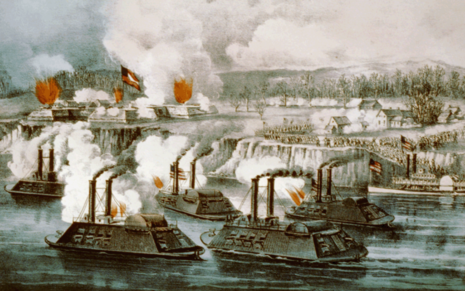 Although Union losses were high and the victory did not contribute to the capture of Vicksburg, it did eliminate one more impediment to Union shipping on the Mississippi. 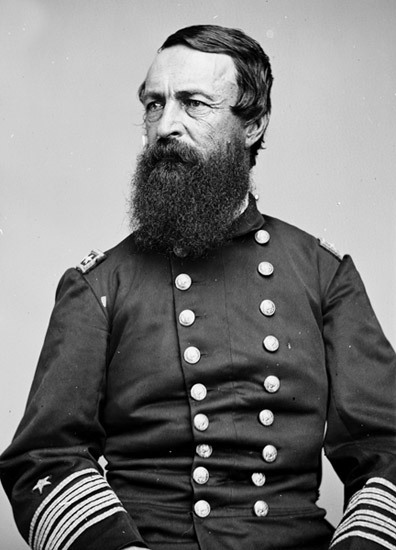 Grant was furious at McClernand's diversion from his overall campaign strategy, ordered him back to the Mississippi, disbanded the Army of the Mississippi, and assumed personal command of the Vicksburg Campaign.